As part of its ReUrbanism initiative, the National Trust for Historic Preservation has produced interactive maps which chart the age and character of cities across the United States. 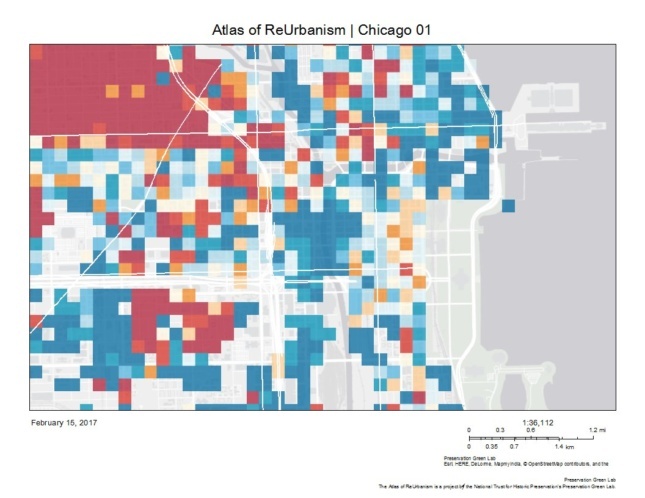 The Atlas of ReUrbanism is meant to be a new tool for urbanists and advocates, one that better utilizes massive amounts of data on the age of cities. Along with the interactive map, the report draws connections between the physical character of cities and social, economic, and environmental concerns. 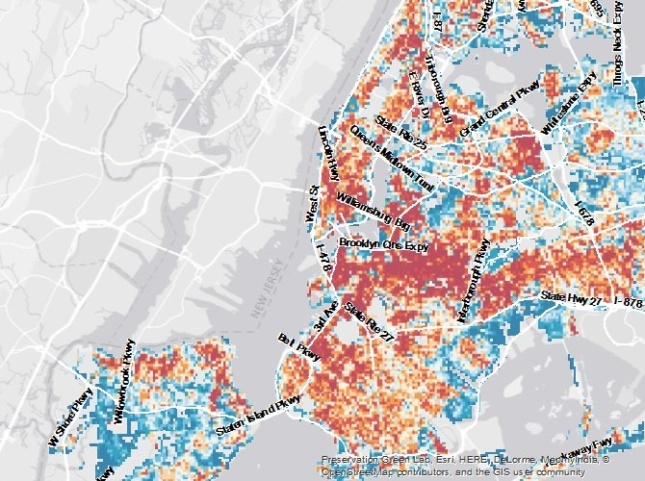 Used together, the report and maps help give a complex understanding of American cities. 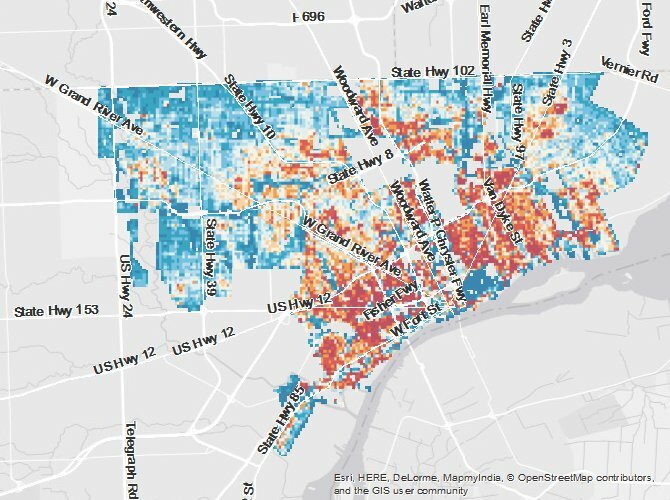 The maps highlight the median age of buildings and the size of buildings and parcels. Information is distilled into 200-by-200-meter squares and color coded. The atlas gives each grid square a Character Score, which is a function of its buildings’ sizes and ages. This score can be compared to other measurable quantities, such as economic growth, to better understand the impact of older buildings within the city fabric. Other layers in the maps include National Historic Landmarks, City Landmarks, and National Historic Districts. The National Trust’s Preservation Green Lab has led the development of the maps. Information was gathered from the sources such as the U.S. Census and the American Community Survey. Currently, maps for 10 cities have been released, including New York, Philadelphia, Baltimore, Buffalo, Detroit, Chicago, Louisville, Houston, Los Angeles, and Portland. Forty other cities were included in the study and will be added to the collection of maps. The Preservation Green Lab is an initiative that works to find new uses for old buildings. The lab is based on the belief that the continued use of older buildings is a key to creating sustainable, equitable, and affordable cities. By conducting research and creating tools, the lab hopes to bring together different urban stakeholders to encourage economic development through the use of existing and underutilized spaces and buildings.